This article appeared a few weeks before Wait a Lonely Lifetime, my debut novel, hit the libraries and online booksellers. Amazon Publishing had already purchased Avalon and my career as a published author was already on shaky ground. 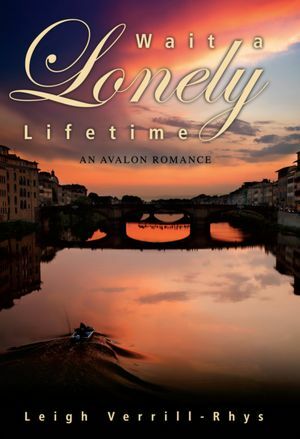 The forthcoming publication of my debut novel, Wait a Lonely Lifetime, with Avalon Books calls for some attention to the hero of this book: U.S. Army officer, Eric E. Wasserman, who doesn’t feel comfortable in civilian clothes. I admit, when I see a man in uniform, I look twice. I don’t know if this is a genetic anomaly or a primordial instinct but there is something about a human male impeccably dressed, starched, buttoned and tied that unleashes a basic response from me: instant & rarely unjustified trust, a sense of security and protection as well as a recognition of pride and courage. This could be because so many of the most trustworthy, dependable men I have known have been the uniformed kind. This could also be the reason I have made my hero, Eric Wasserman, uncomfortable out of uniform when he first meets the love of his life and why he chooses to wear only military garb when they next meet. His choice to return to Army life after a brief stint as a civilian has as much to do with the story development as with my own military-philia, having a long, proud history of U.S. Army, Navy and Air Force family members. Eric came to life when I saw him as a gawky, ex-GI out of his element among art college students. Readers of Wait a Lonely Lifetime will recognize this scene. Eric Wasserman is a fictional character who embodies all I can imagine of the best of the male of our species: characteristics I have observed throughout my life; characteristics that are embedded in their genetic coding. My first novel for Avalon is my way of saying thank to people who have been important in my life – both familiar and unknown.Feeling out of our element is something we all share at one time or another. Eric’s second-in-command, Lt. Cleonina Jones, forces him to face his desertion of the only woman he has ever loved, Sylviana Innocenti, and take responsibility for his part in the unhappy outcome. “Steven hardly mentioned his name after Eric disappeared, like he had never existed.” Sylviana rubbed the side of her nose and along her cheekbone. “That’s not how I remember it,” Sylviana replied. “But that’s not true. I didn’t talk to Steven. I talked to Eric Wasserman—endlessly—though he barely said a word. I probably didn’t give him a chance to,” she moaned. There was nothing else Sylviana could say to Aggy. Her best friend from kindergarten had always been radical, cut-the-corn and get on with it, anti-war, anti-nuclear, anti-fascist, anti-establishment. Sylviana ran her fingers around the base of her wineglass. Her daughters were safe at home with her parents, and she was baring her soul to the only woman she knew who wouldn’t laugh in her face. She knew her ex-husband’s military record. She knew his unit members and a couple of the people he hadn’t written out of his life the day his discharge came through. Eric Wasserman was the only one who’d appeared on the scene and stuck around for a few weeks, come to a few parties, captured her heart, and then disappeared forever. Steven Langdon had been quick to let her know that he wasn’t going anywhere out of her life fast. He’d swept her off her feet with his avid courtship, and months later, marrying him had seemed like the best idea at the time. Twelve years and two little girls later, she’d asked for a divorce. During her lunch hour, the Monday following her talk with Aggy, Sylvi pushed open the door of the Army recruiting office four blocks from her office. The soldier at the desk glanced up, gave her a quick smile, and looked back down at his paperwork. When his eyes indicated a chair in front of the desk, she positioned herself on the edge, folding her hands over her shoulder bag. “I’m not here to enlist,” she said, then wished she hadn’t. I know you won’t remember me, but we met about fifteen years ago. My name is Sylviana Innocenti Langdon. 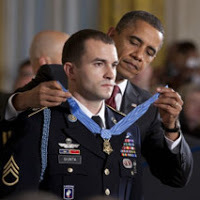 The letter had been on Wasserman’s desk for two days, in his pocket for another, then held unopened in his hand for half an hour before the feeling that one of his unit had shoved a bayonet into his gut and was twisting it around finally subsided. Ten more minutes passed before his thumb ripped through the last fraction of glue, but his hand was still shaking so badly, the single sheet of pale blue paper refused to be taken out. He finally worked it free, crumpling a corner, and smoothed it on his thigh. As soon as it unfolded, he read her married name, and the bayonet jammed straight through to his spine. “Tell her, I’ll be right there.” He shoved the letter back into the envelope, pressed it down into his pocket, and felt the barbs driving into his chest. He took it out and tossed it onto the desk. The envelope skittered across the surface and caught in the pages of the duty roster, face up. S.I. Langdon, 81 Hill Street, San Francisco. Eric was nowhere near the dump by the time he raised his eyes. Not a word from Steve Langdon for three, almost four, years and now, this. What kind of joke is this? The vehicle dump was on the other side of the camp, camouflaged in trees and under nets—coolest spot in the valley, now that the winds had died down. The combat support unit captain straightened his back and headed in the direction he’d meant to go, keeping his eyes on the vineyards on the hillsides. Martinelli wasn’t in sight. He ducked under the strips of camouflage and called the second lieutenant by name. The wheeled creeper swept out from under a truck . Hard to believe anyone that small could be such a good mechanic. Of course, everyone was tiny compared to six feet four inches. Captain Eric D.D. Wasserman. Even the biggest of the combat unit didn’t look him straight in the eye without tilting his chin a bit. Martinelli jumped up in front of him and dusted off her backside. Her grin broke through the fog in his brain—pure, fresh, San Francisco fog—and he grinned back. She pointed in one direction at the oily wreckage of a truck and hooked her finger at a ratchet-jockey in the other. Whatever the private had failed to fix , he wasn’t owning up to it until Martinelli had raked him through the eastern European dust for a good half hour. “Who’s what from, Angel?” Clee shoved the drawer of the cabinet with her hip and pulled her CO’s office door shut so that Private Angel Watts couldn’t walk in. “The least you can do is tell me if he opened that envelope yet.” Private Watts sidled to the door and cupped her hands to the rippled glass. That didn’t happen before mail call put another pale blue envelope on the CO’s desk, on top of company and field dispatches, requisitions and requests. Eric didn’t meet Clee’s gaze but felt her staring at him, drilling a hole in his neck with her cocoa brown eyes, the same color as her skin. He didn’t flinch when he pushed the square aside. He didn’t even look up when she sighed, folded her arms, and went back to her desk. All the clicking and clattering on her keyboard and the constant whirr of the printer didn’t break through the blank in his brain, like it had been blown out. All he could do was slide documents back and forth, stare at lines of type he couldn’t read, wait for something to catch him before he dropped like a grenade, that moment before the sound of the explosion hit him, when the ground just rocked. He held the receiver to his ear for a few seconds, letting the dead, empty silence take over for what was really going on. Everyone, from his CO to his youngest rookie, knew something was going on. Captain E.D.D. Wasserman had gotten two letters from Stateside in less than two weeks. His sister wrote him letters once, at most twice, a year, sometimes with more than an eight-month gap between missives. That was it. No bank statements arrived. No demands for payment. No complaints from anyone that he didn’t write. He hadn’t even heard from Steve Langdon the way he usually did around his wife’s birthday, not for a couple of years. His hand was steady until the moment he unfolded the first letter on his desk, and he forced his eyes to focus on the lines Steve’s wife had written. I know you won’t remember me, but we met about fifteen years ago. My name is Sylviana Innocenti Langdon. We met at a party here in SF. I don’t know if you and Steven are still in touch, and you will probably think I’m crazy, but a few events over the past few years have given me reason to think about those times. A friend of mine, Aggy Tarkingdon, mentioned the party, and we talked a bit about you, just remembering faces, and we both wondered what you were doing now. You will think I am insane when I tell you that it became a kind of quest. A very nice recruiting officer for the Army took pity on me. Just so you don’t go gunning for him, I won’t mention his name, but he gave me the name of a group to contact. If you get this, I would be happy to hear from you, Eric. Let me know what you’re doing—if you want. She had olive green eyes and dark brown hair that swept across her shoulder blades like silk, thick waves of heavy silk, and she was wearing something blue, some long dress with pant-legs instead of a skirt. He had stood inches away, wondering how she’d gotten into it and how he could get her out of it. Every guy in the room had been thinking the same thing. What could he write? She was married to his best buddy, the guy who’d taken the bullet that had his name on it. If Steve Langdon hadn’t gotten in the way of that bullet, he would not be feeling this pain now. Wasserman sucked air hard into his lungs, clenched his jaw, and slapped his hand onto the second blue square, ripped his thumb through the flap, and tore out the blasted, scented, bayonet-wielding letter.